The Avalon lessons provides a self-learning system. Avalon consists of 47 self-guided lessons, and starts at the very beginning and continues to a very advanced level of study. Avalon includes detailed lessons, tests and quizzes (you even get graded) before you proceed to the next lesson and a logical, systematic approach that makes it possible for you to learn astrology on your own. Avalon is a very thorough and comprehensive course, complete with graphic illustrations and tests . 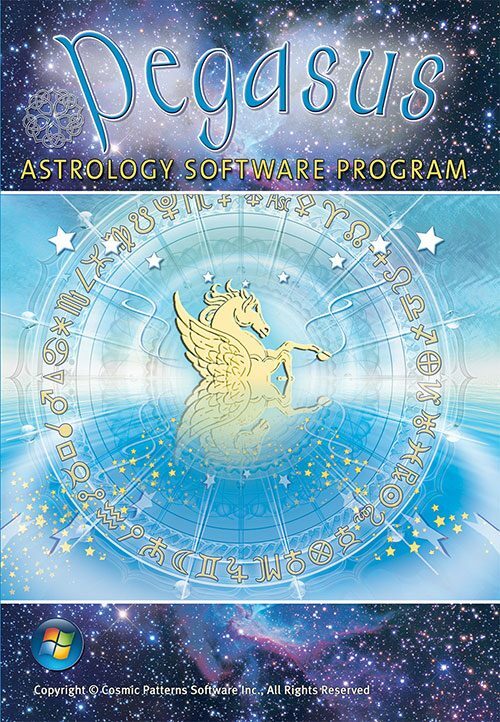 If you take the entire course and pass all of the tests, you will have a thorough grasp of astrological principles. In fact, you may find that you will amaze yourself with your ability to understand people by analyzing their birth charts. With additional study in advanced areas you will be able to take (and pass!) 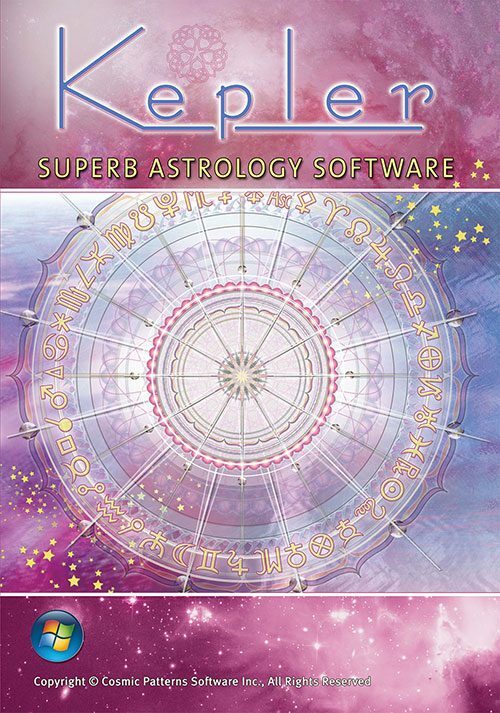 tests administered by various astrological organizations to receive certification from these organizations, and you will have the information you need to interpret charts and teach others. We recommend interpreting dozens of charts for people without any charge before beginning to charge for your services, and to devote at least a few years of study before becoming a professional in the astrological field. If you prefer a less structured approach to learning, and you prefer to browse around, you can browse through the topics in Avalon, or you may find that Astro Encyclopedia is more to your liking. Avalon is particularly good for people who want a complete and thorough understanding of astrology, and want to study astrology in a systematic manner, starting with the basics and progressing to more. Avalon Lesson is part of the kepler program. Avalon Lessons is a self-learning program. It consists of 47 lessons. However, we are offering you the first 2 lessons free of charge right here on our web site! Astrology is the study of correlations of celestial events with behavior on earth, particularly correlations which cannot be explained by gravitation, magnetism, or other forces that are well-established in physics or other sciences. A “celestial event” is any event in the sky. For example, the Sun rising is a celestial event, or any two planets appearing in the same place in the sky is a celestial event. The celestial event can involve any celestial body, whether it be the Sun, Moon, a planet, an asteroid, comet, star, black hole, quasar, or other celestial object. The celestial event may also not involve any physical body at all, such as when, for example, the Moon’s North Node (as we shall find out later, the Moon’s North Node is not a physical object) is on the eastern horizon. The eastern horizon is, of course, simply where the sky meets the horizon of the earth in the easterly direction, and therefore is also not a physical body like a planet or star. Some people mention that the Moon’s position affects the tides of the ocean, as an example of an astrological influence, but the correlation of ocean tides with the Moon’s position can be explained by gravitation so it is not really astrological in that the rules used by astrologers generally cannot be explained by gravitation or other forces known in the sciences. Astrology has been used by virtually every advanced civilization for thousands of years, but it has almost always been very controversial as well. Today, skepticism about astrology is as strong as ever, and there are many good reasons for this. Astrology has its roots in ancient times when less scientific methods were employed and superstition was rampant in many of these civilizations. The only exposure that many people have had to astrology is the sun sign columns in the newspaper or a glamorous psychic astrologer on television. Thus, it is hardly surprising that astrology is generally not accepted as a legitimate and valid field of inquiry by academia. Resistance to astrology in academia is strong. 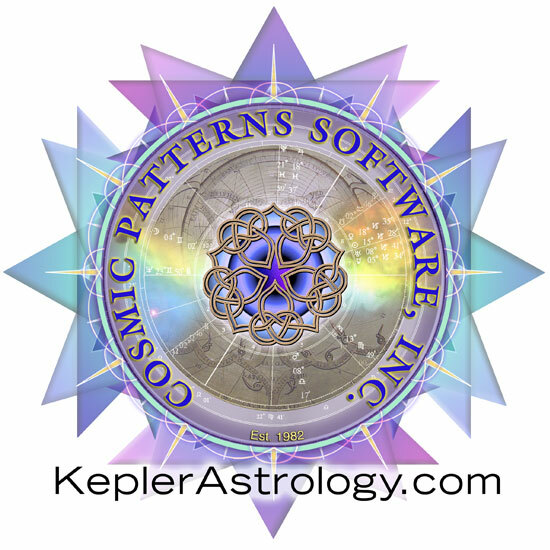 The Kepler program and other fine work being done in the field of astrology today will hopefully open the eyes of many people to a valuable tool that is being overlooked. Some people confuse astrology with astronomy. Astronomy is the science that studies celestial phenomena physically. All objects in the sky are studied in terms of their constitution, position, history, etc. Astronomy, of course, is a science and no one disputes its validity. Astrology goes a step beyond astronomy by making correlations of celestial phenomena with events on earth, and these correlations are not of a nature that can be easily explained by traditional scientific concepts. Astrology is highly controversial, and currently (as of 1998; this may change in the near future) an accredited college degree is not available in astrology, which exemplifies the fact that astrology is currently not well-received in most academic circles. Note that no one has proven how astrology works. There are many different views on how or why astrology might work, but there is not single conclusive answer that has been demonstrated to the satisfaction of all astrologers. Astrology is the study of the correlation between celestial phenomena and behavior on earth but why should this correlation exist? There are many possible answers and I will not go into those now. Note that the lack of a clear explanation of why the correlation should exist, or the fact that the existence of such a correlation seems absurd to many scientists and non-scientists alike, does not in itself make astrology unscientific. Scientists can analyze correlations and perfect their ability to predict based on these correlations without knowing why the correlation exists. Experts in scientific methodology emphasize that science ultimately is about making observations and theories help us understand the observations. The ability to predict that an apple will fall to the ground if dropped is a scientifically verifiable statement and it does not require the theory of gravitation to make it more scientific. However, the theory of gravitation allows us to understand not only why the apple falls to the ground, but also a myriad other phenomena such as why planets revolve around the Sun and the Moon revolves around the Earth. The power of a scientific theory is that it expands our ability to make predictions about other phenomena, but the lack of good theories does not make a replicable experiment less scientific. Much of astrology sounds like superstition. For example, most astrologers believe that Mars is a planet of aggression and if you were born when Mars was rising, setting, or over your head (“culminating” is the more technical astronomical term for “over your head”) when you were born, then you have the characteristics of Mars: aggressive and ambitious. In addition to sounding superstitious, there is no way to explain such an influence. Does this mean that astrology is not a science? The answer to this question is hotly debated. Even some astrologers prefer to look at astrology as a cosmic art rather than a mundane science. Interestingly, the scientific method, contrary to popular opinion and even the opinion of some self-proclaimed scientists, has nothing to do with “common sense”. Science is founded on the scientific method, and the scientific method requires only that rigorous procedures be employed to verify that the observed phenomenon is “real”, not an artifact of other influences (“extraneous variables” is the term used by scientists). Much of modern physics, in fact, does not make “common sense”. The discoveries of Albert Einstein and other 20th century scientists have destroyed the “common sense” science that developed through the 18th and 19th centuries. Modern physics postulates a vast number of concepts which sound absurd to common sense, but they are indisputably scientific because they are congruent with observations made using the rigorous procedure of the scientific method. Therefore, the fact that astrology does not make common sense or cannot be explained by known physical laws does not disqualify it as a science. What would disqualify astrology as a science would be repeated failure to validate any of its precepts in scientific studies. But scientific studies by John Addey, John Nelson, Ann Parker, Theodore Landscheidt, Mark Urban-Lurain, the Gauquelins, and many others have already validated some astrological influences. These studies cannot be officially declared to be scientific proof, however, because a study must first meet the criteria required by the scientific method: peer review and replication of the results are required before being considered to be scientific validation. A study must be published in a recognized scientific journal to ensure that the study has been conducted properly. Also, a well-designed study typically requires huge amounts of time and money to fund. Astrology today is caught in a chicken-and-egg dilemma: Because the funding and support is not available, the studies have not been validated and published in major scientific journals. However, some of the studies are very impressive. 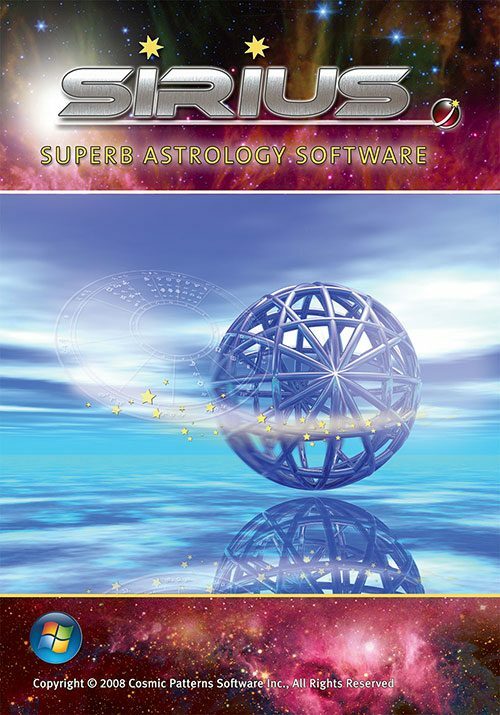 The book Recent Advances in Natal Astrology by Geoffrey Dean has an extensive summary of a great deal of research done in astrology. Dean’s conclusion is that almost all of the research was not done with sufficient scientific rigor to be completely conclusive. As part of your studies in Avalon College, we do NOT expect you to read the books listed above! In the advanced lessons we will discuss some of the material in these books in more detail. We are mentioning these books at this time simply to document the basis for the statements made above. Because astrology is the study of the correlation of celestial phenomena with behavior on earth and both the astronomical phenomena and the behavior on earth can be measured very precisely and clearly, astrology is very amenable to scientific research. For example, a researcher can study the correlation of planetary positions with well-defined behavior or characteristics such as accidents, alcoholism, or medical problems such as diabetes, heart problems, etc. There are some very significant technical challenges that arise in conducting astrological research, such as how to establish control groups in the experiment. I will not discuss these subtle and technical issues of research in any detail now but suffice it to say that in some countries during some periods of time more babies are born just before sunrise, and more babies are born in the spring than at other times of the year. Because people are not born randomly throughout the year or throughout the day, and planets do not move at steady speeds from the earth’s point of view, the researcher must be very careful to make sure that the control group of the experiment or the assumption about how often the celestial event would occur by chance is correct. While these challenges to astrological research are not insignificant, they do require great care on the part of the researcher. Another issue to consider is this: although scientific research can be done in astrology, some astrologers, like Glenn Perry, for example, believe that research in astrology needs to be more complex or qualitative in nature than most traditional research studies. According to this view, astrology works in a very wholistic and complex manner, and simple research studies are too fragmented and limited to produce results of any great importance. Many astrologers also believe that astrology does not work by cause-and-effect influences but rather by a non-mechanical means. Some astrologers would also argue that astrology’s purpose is to reveal meaning and significance to our lives, not to describe phenomena. According to this view a human being is more than a conglomerate of mechanical processes, and astrology can feed the soul of a person, and from this perspective, whether astrology can be validated scientifically is irrelevant and unimportant. Some astrologers view astrology more as a language rather than as a science. As you can see there are many varying viewpoints on astrology’s relationship to science! To answer the question “Is astrology a science?”, the answer that I would give (although as explained in the previous paragraph, not everyone would agree) is “almost” or “not yet”. Sometimes a discovery in science is made in a single “Eureka” moment, but other times the data slowly and gradually supports the theory until at last a clear and definitive discovery is made. The studies in the books listed above, and in other books, are extremely promising, but by strict scientific standards probably cannot be considered yet to be validation of astrology. Opinions about whether astrology is a science vary, even among experts in scientific methodology as well as experts in astrology. I think that to answer this question, we must first carefully define what astrology is and what a science is. Astrology is a correlation of celestial events with behavior and characteristics of things on earth, especially those that cannot be explained by current scientific theories. A science is a field that has been validated by experiments and research that adhere to the tenets of the scientific method, and have been published in qualified journals. Publication is important because this ensures that the research was conducted correctly, with appropriate experimental controls, statistical analysis, etc. Since astrology has been virtually ignored by accepted scientific journals, it is my opinion that astrology does not qualify as a science currently, but when such research is done, it will, in time, produce statistically significant results and then astrology will be a science. It may seem odd that something can not be a science one day and then the next day it is, but science is not only an objective phenomenon, it is also the inquiry of human beings into an area, adhering rigorously to the scientific method. Many astrologers believe that astrology will one day join the ranks of the other sciences because the work of researchers mentioned above and other researchers are very impressive and only need to be replicated and expanded upon in rigorous (and therefore usually expensive!) scientific studies. Some astrologers, believe that astrology requires more emphasis on qualitative techniques and more complex forms of analysis rather than simple statistical quantitative analyses. According to this view, astrology can advance as a science but it will require a radically different kind of scientific approach than is traditionally taken in order to make great strides, and also that “soft science” techniques are not necessarily inferior, and in fact can sometimes produce more useful results than “hard science” techniques. As you can see from the above list, the behaviour on earth does not necessarily need to be human behavior. Behavior of any animal, and even behavior of inanimate things, such as geological events and weather conditions are analyzed in astrology. We are familiar with the behaviors on earth. We all know what a rainy day is or what an earthquake is. However, we may not be as familiar with the other side of the correlation: how celestial bodies move in the sky and what celestial phenomena are important to astrologers. SOME BASIC ASTRONOMY As we all know from elementary and high school, we live on a planet called Earth, which is revolving around a star called the Sun, and the Earth is the third planet from the Sun. This is how our earth looks if we were in a space ship or floating around in outer space looking at our planet from a distance. But how do the planets look from our point of view? Your point of view can dramatically change how something appears. For example, if you are standing on railroad tracks and a train is approaching, you can see only the front of the train and the train appears to get larger and larger as it approaches, but viewed from a distance you can see the entire train, and you can clearly see how fast it is moving. Interestingly, many of us have a better understanding of how planets look from the point of view of a spaceship in outer space, even though we have never been in a spaceship, than we do of how the planets move in the sky from our position on Earth! There is one celestial body that all of us are very familiar with: the Sun! We all know that it rises in the East and sets in the West and it takes about 24 hours for the Sun to make its journey around the Earth. We also know (if we haven’t forgotten everything we learned in elementary school and high school!) that the daily movement of the Sun across the sky is actually caused by the Earth spinning on its axis every 24 hours. We are all victims of a massive optical illusion! The Sun appears to be revolving around us, but in fact we on Earth are revolving around the Sun, and the Sun’s movement around the sky is caused by the earth rotating on its axis. Most astrology is based on how the planets appear from our point of view on earth (geocentric perspective) rather than from the point of view of someone in a space ship above earth or from the point of view of the Sun (heliocentric perspective). All of us are familiar with the daily movement of the Sun but are you familiar with the movement of the other planets? Test your knowledge by reading the following questions and then clicking on the “Answer” button to see if you know the answers to these questions. It is best to answer each question before reading the next question. True or False: The Moon appears to change shape gradually from being invisible to becoming crescent shape and gradually bigger until it is round; and then gradually changes back to becoming invisble. When the Moon is invisible it is called Full Moon. How long is the time period from one New Moon to the next. Is Venus sometimes visible at night without the aid of a telescope? When Venus is visible, what does it closely resemble? Are any other planets sometimes visible at night, and if so, what are they and what do they look like when they are visible? Mercury, Mars, Jupiter and Saturn. Like Venus, they also look like stars. Do planets and stars look very similar when viewed through a large telescope? No. Stars and planets only look similar when viewed without the aid of a telescope. When seen in more detail with the aid of a very large telescope, planets and stars look more similar to what they are in reality; the larger the telescope, the more detail you will see and the more the true nature of the object is revealed. Stars are, of course, huge balls of burning gases, while the composition of planets varies, some are very rocky and have little atmosphere, many have large gaseous atmospheres, and some are very hot and some are very cold. There is one star in the sky that you can see in detail without a telescope – the Sun! The Sun is actually a star, and sometimes we forget that fact because it looks so different from other stars, but primarily only because it so much closer to us than other stars. Are any planets not visible without the aid of a telescope? Yes, Uranus, Neptune, and Pluto. These 3 planets were not known in ancient times; they were discovered with telescopes. From the point of view of a person on earth looking up at the night sky, what is the most obvious difference between the appearance of a star and a planet. There is little difference. Some planets, like Venus and Jupiter are brighter than the stars. Perhaps the most obvious difference would be revealed if you look at the night sky every night for a few months. The planets will move against the backdrop of the constellations. The stars will not move. The movement of the stars in relationship to each other is very, very slight even across thousands of years! The constellations, like Orion, the Big Dipper, etc. are fixed in relationship to each other. The planets move through the constellations. The word “planet” comes from a Latin word meaning “wandering star”. Does Venus rise and set in a manner similar to the Sun? What is the approximate time it takes from the time Venus rises to the next time it rises. About 24 hours, just like the Sun. What about the other planets? Do they rise and set like the Sun? What about the other stars (that is, the stars that make up the constellations). Do they also rise and set every 24 hours? Most, but not all, stars do rise and set. If a star rises, it will rise and set in a manner similar to the Sun, rising approximately every 24 hours. Why do some stars not rise and set? The rising and setting of planets and stars is actually caused by the earth rotating on its axis. The entire sky appears to spin around once a day. A star that is above the earth’s north pole, or near this point, will not rise and set because it will travel in a circle around the North Pole in a relatively small circle, and never rise and set. All planets and stars are rising and setting in a path that is a circle around the north and south poles. If you go outside at night and find the constellation of the Big Dipper, note carefully where it is, and then go out again several hours later, you will find that it has moved but it will not rise or set. This is because the stars that make up the Big Dipper are located near the part of the sky that is above the earth’s north pole. From answering the questions in this quiz, you now know that all planets and most stars rise and set about once a day. Actually, there are some rare exceptions to this rule. If you live near the north pole or south pole, a planet can circle around the horizon, staying either slightly above or below the horizon. People who live near the north or south pole are very familiar with this phenomenon; the Sun will not set for many months, and during the other half of the year the Sun will not rise for many months! During the time that the Sun does not set, it also does not rise very far away from the horizon; it circulates around you not very far above the horizon. Why is all of this rising and setting stuff important in astrology? Because astrologers divide the sky into 12 sections called houses. The houses are numbered from 1 to 12 and the planets travel backwards through the houses each day. …and 2 hours later it leaves the 12th house and enters the end of the 11th house. About every 2 hours the Sun moves into a new house. After 6 hours the Sun is “culminating”, that is it is about 12 noon when the Sun reaches its highest point in the sky. At this point the Sun leaves the 10th house and enters the end of the 9th house. A boy is looking at the sunset. The sun, of course, is just above the western horizon, at sunset. What house is it in? On a typical day the Sun rises at about 6 AM. Of course, as you know, in summer the Sun rises earlier than this and in winter it rises later. Suppose that the Sun rises at 6 AM and sets at 6 PM. Then the Sun will travel through the houses at these times: The Sun is in the 12th house from 6 AM to 8 AM, the 11th house from 8 AM to 10 AM, the 10th house from 10 AM to 12 noon, the 9th house from 12 noon to 2 PM, the 8th house from 2 PM to 4 PM, and so on until it reaches the 1st house from 4 AM to 6 AM on the morning of the next day.